Thingd, a quiet New York start-up founded by entrepreneurial wunderkind Joe Einhorn, is looking to become the biggest player in the nascent social commerce space with a blend of Pinterest, a huge database of objects and a new shopping model that combines discovery, demand and commerce. 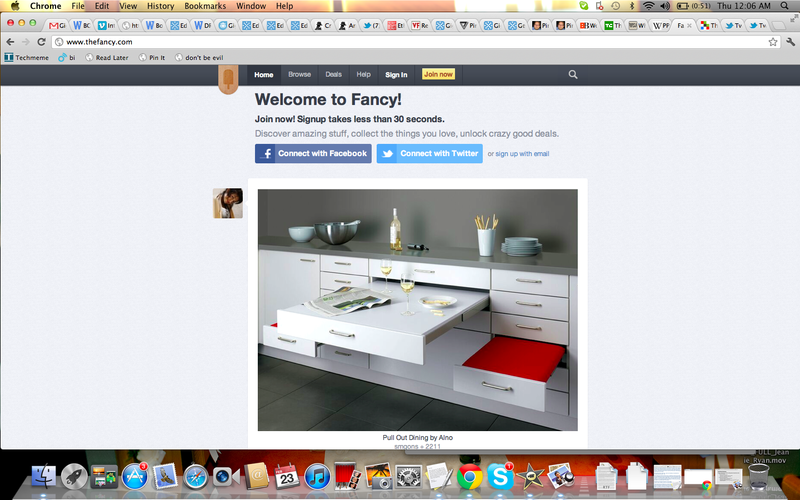 Thingd, which has backing from Twitter’s Jack Dorsey and French luxury conglomerate PPR, has focussed its aspirations on consumer web project Fancy, a self-expression social destination similar to Pinterest that lets people “fancy” things they like. The site, which boasts about 250,000 users, launched a little over a year ago and has gotten praise for its slick look and style. It’s also struck deals with 400 retail and brand partners, who offer Fancy users discounts when they buy items they find on the site. Now Fancy is set to launch a new demand-driven commerce model that will let brands and retailers sign up to be a seller on any item that’s been fancied on the site. 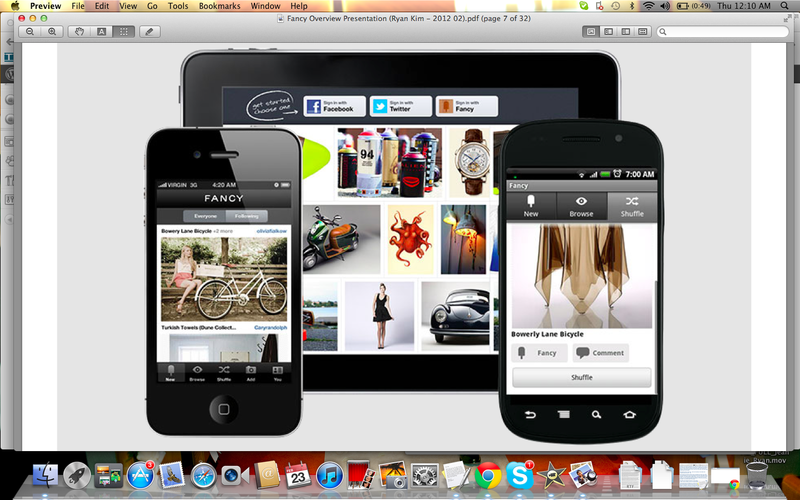 They’ll be able to conduct the transaction right on Fancy, helping turn discovery and demand into direct sales. Merchants or brands who visit the site will now see a link on each object called “I want to sell it.” They can then bid to sell that object — and if they’re approved, they can set a price and a quantity and fill out the listing page. If the exact object can’t be sold, a brand or merchant can apply to sell a similar product. This will work for a number of verticals including travel bookings, which can also be booked right on the site. What Fancy doing is fusing the act of discovery, self expression and curation with a marketplace that can pop up on items that are suddenly popular. Consumers are increasingly looking to sites like Pinterest and Fancy to find ideas on products and get inspired. Now, as they rally around something they like, a vendor can come in and turn that interest into sales. It’s almost like a reverse Groupon (s grpn), where instead of Groupon deciding what the deal is, consumers vote with their feet and merchants can decide if want to tap the momentary market. It’s an interesting idea that accelerates social commerce in ways that will be unfamiliar for many consumers and merchants. Instead of trying to take the interaction and relationships built through social networks and hope to steer people toward a brand, and potentially a sale, companies can act like AdWord advertisers, keying in on interest and intent from users. That may take some getting used to for merchants, but they will also be able to ignite demand as well by fancying their own stuff. But Einhorn said he’s careful about making sure the discovery process is organic and not altered through paid promotions: featured items, for example, are just products that have been highly fancied. However, Fancy is not on the tip of people’s tongue the way Pinterest is these days. And that raises questions about how successful it can be as a commerce platform without being a big destination. But there are a lot of smarts and assets that Einhorn is bringing to bear on his big plan. First, a little about Einhorn himself: he started as the first employee at 16 for Capital IQ, a corporate information service, which was acquired by the Standard & Poor’s in 2004 for $200 million. 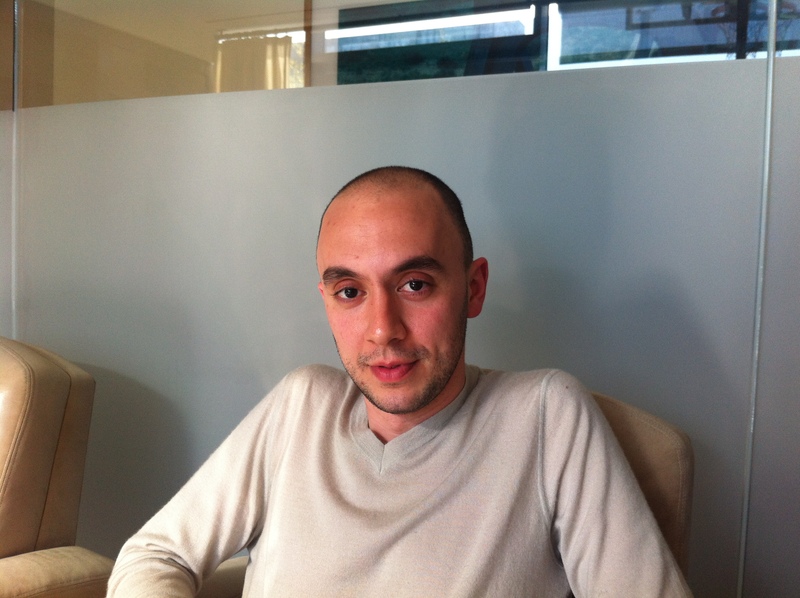 He went on to found Inform Technologies, which helped publishers present their content. Now, he’s back with $18 million from some serious investors, including Marc Andreessen, Ben Horowitz, General Catalyst, Allen & Co. and PPR, the owner of a number of high-end brands including Gucci and Yves Saint Laurent brands. Board members include Twitter and Square founder Jack Dorsey, PPR Chairman Francois-Henri Pinault and Chris Hughes, co-founder of Facebook. While Fancy only appeared a year ago, Einhorn has been working on thingd since 2009, building up a massive database of objects with hundreds of millions of items. Thingd trawls the Internet and captures all kinds of data on different products and objects, which is now powering Fancy’s commerce platform. But it’s not just about data. Einhorn has put it all to use creating a polished destination that appears on the web and on apps for the iPhone, iPad (s aapl), Android (s goog) phones and tablets. And despite no marketing push, Fancy has created a passionate following who are engaging at a feverish pace. He said users are fancying items more than a million times a week. Fancy also has some big name tastemakers, including Kanye West, who tweeted out some love for Fancy last weekend. And it’s got a stable of existing retail partners who are now being apprised of the new sales opportunity on Fancy. Still, there are a lot of questions about the Einhorn’s big commerce play. Is there enough traffic to attract merchants, who will make this model take flight? How many fancys will translate into real sales? How will Fancy determine who gets to sell behind each object, and will a system like that scale? And will retailers and brands prefer to conduct business on Fancy, rather than get a referral to their own site? Einhorn seems to revel in some of the questions, excited at plunging into the unknown. But he does believe that this will be a good bet for companies, who will take immediate sales over referrals. And he thinks that brands, spurred on in large part by PPR’s involvement, will want to get involved more deeply with Fancy as they explore its selling potential. Einhorn has got a pretty ambitious plan but I like where it’s going. The company could try to rely on referral fees like Pinterest but he’s got a clear vision of what he wants to do. And this might be the way you can pull off real social commerce. By embedding commerce into the same place people go to find inspiration and discover stuff, Fancy can inject itself into the buying process ahead of Google or Amazon (s amzn). Users have a new social way to find products that can prove effective in spurring on sales. 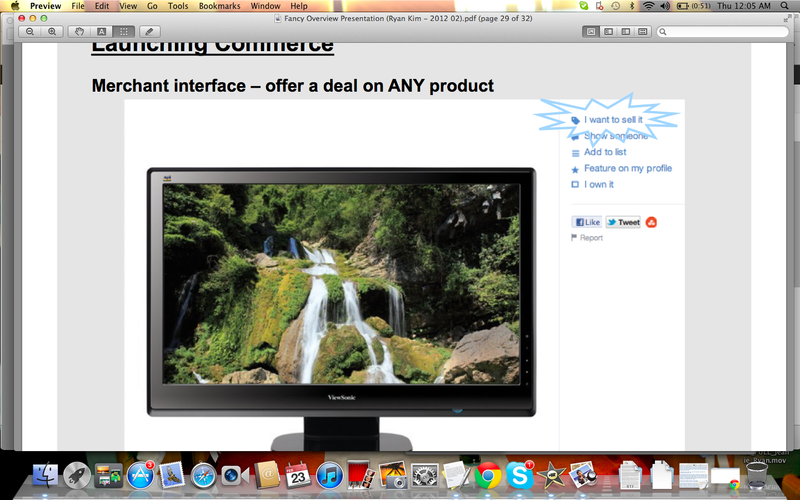 Fab.com has also tried something like this with its Inspiration Wall, but it’s still primarily an ecommerce site. Fancy has a chance upend some preconceived notions of commerce… but only if it can attract enough consumers. If it does, it will ultimately face a lot of challengers. Google, Amazon, Facebook and Pinterest would all like to have a say in how commerce evolves with social input. But Einhorn believes it takes a ground up approach to this, with a singular vision on providing things people can purchase. And he believes that by providing the best tools for self expression, it will continue to attract users and ultimately brands and merchants. If it all comes together, Einhorn believes Fancy can ultimately can become Amazon-big with its model.